Ola Virginia Brothers began her journey of life on May 13, 1941, in Bradley, Arkansas as the daughter of Floyd and Josephine Williams. 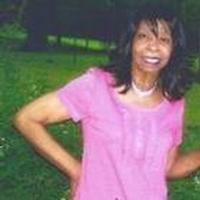 She worked and retired as a restaurant cook and was a member of New Beginning Christian Ministry. Preceding her in death is her parents, Floyd and Josephine Williams, her foster parents, George and Cora Hickman, two sons, Tony Davis and Nathaniel Hickman. She leave to cherish her loving memories, her husband Gary Brothers of Hot Springs, AR; five sons, Willie Davis and Vince Davis of Arkadelphia, AR; James Gregory and Michael (Shauna)Davis of Hot Springs, AR; and Derrick Chapman of Las Vegas, NV; one daughter, Trina Wallace of Victorville, CA; two sisters, Irene Butler and Ruth Waites of Jefferson, TX; ten grandchildren, twelve great-grandchildren and a host of family and friends.